A bit of news straight out of left field today that should perk some ears over at Amazon.com HQ: publishing and education company Pearson has announced that it is investing nearly $90 million in cash in NOOK Media, the recently formed e-reading joint-venture of software giant Microsoft and book retailer Barnes & Noble. The strategic investment deal will see Pearson gain a 5 percent stake in the new firm, which operates all of Barnes & Noble’s digital businesses, including its NOOK e-reader and tablets, digital bookstore and its 674 college bookstores across America. The investment thus values NOOK Media at just south of $1.8 billion. Subject to certain conditions, Pearson will earn the option to purchase up to an additional 5 percent ownership in NOOK Media. Microsoft had initially invested $300 million in NOOK Media – then still labeled ‘NewCo’ – in April 2012, acquiring a 17.6 percent stake. 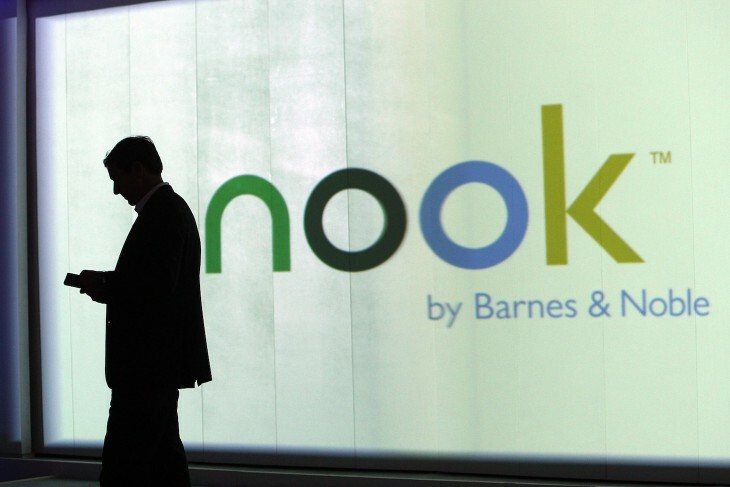 When the Pearson transaction closes, Barnes & Noble will own approximately 78.2 percent of NOOK Media, while Microsoft will own approximately 16.8 percent. “Pearson and Barnes & Noble have been valued partners for decades, and in recent years both have invested heavily and imaginatively to provide engaging and effective digital reading and learning experiences. This new agreement extends our partnership and deepens our commitment to provide better, easier experiences for our customers. With this investment we have entered into a commercial agreement with NOOK Media that will allow our two companies to work closely together in order to create a more seamless and effective experience for students. Pearson’s business can be split into three main groups: Education, which includes the company’s digital learning and education publishing offerings, Financial Times Group and consumer publishing unit Penguin Group. Pearson also holds a 50% stake in the Economist Group.